The Mauviel preserving pan provides you with the easiest and safest way to make delicious jams and chutneys. The preserving pan is design to avoid having your jams boil over the side. 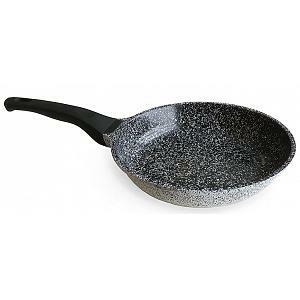 Its thick base makes sure foods will not stick to the pan. For jam and chutney making, a preserving pan is most definitely the better choice than a regular stock pot. 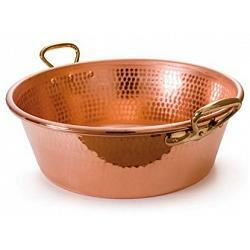 The preserving pan is made from 1 - 2mm copper with an unlined interior. It features 2 comfortable bronze handles, fixed by copper rivets. The Mauviel preserving pan has a generous capacity of 14L / 15qt and diameter of 40cm / 15.75 inches. The preserving pan can be used on gas, electric, and halogen heating surfaces. It's good to go into the oven too! The pan has a lifetime warranty and was proudly made in France.